April 1, 2010 by Ken Ward Jr. The U.S. Environmental Protection Agency is releasing a bombshell: A major new guidance document that provides the coal industry and coal-state regulators with “clarity” regarding the permitting of mountaintop removal coal mining. The biggest step included? EPA is warning that water pollution from these mining operations dangerously increases the electrical conductivity of streams — and setting up a much more rigorous mandate that coal operators and state mining regulators face up to this looming and long-ignored problem. But the new EPA guidance also addresses a host of other issues, from water quality monitoring to environmental justice, that are important to folks who are concerned about mountaintop removal. It has been a high priority of this Administration — and EPA Administrator Lisa P. Jackson — to reduce the substantial environmental and human health consequences of surface coal mining in Appalachia, and minimize further impairment of already compromised watersheds. As scientific evidence grows, EPA has a legal responsibility to address the environmental consequences of Appalachian surface coal mining. EPA has a press release, the actual guidance document, a summary of the guidance document, and a Question-and-Answer sheet about that document. Also, EPA has posted copies of two new studies: A Field-Based Aquatic Life Benchmark for Conductivity in Central Appalachian Streams (External Review Draft) and The Effects of Mountaintop Mines and Valley Fills on Aquatic Ecosystems of the Central Appalachian Coalfields (External Review Draft). Recent studies, as well as the experiences of Appalachian coalfield communities, point to new environmental and health challenges that were largely unknown even ten years ago. Since 1992, nearly 2,000 miles of Appalachian streams have been filled at a rate of 120 miles per year by surface mining practices. A recent EPA study found that nine out of every 10 streams downstream from surface mining operations were impaired based on a genus-level assessment of aquatic life. Another federal study found elevated levels of highly toxic and bioaccumulative selenium in streams downstream from valley fills. These impairments are linked to contamination of surface water supplies and resulting health concerns, as well as widespread impacts to stream life in downstream rivers and streams. Further, the estimated scale of deforestation from existing Appalachian surface mining operations is equivalent in size to the state of Delaware. Appalachian deforestation has been linked to significant changes in aquatic communities as well as to modified storm runoff regimes, accelerated sediment and nutrient transport, reduced organic matter inputs, shifts in the stream’s energy base, and altered thermal regimes. Such impacts have placed further stresses on water quality and the ecological viability of watersheds. The people of Appalachian shouldn’t have to choose between a clean, healthy environment in which to raise their families and the jobs they need to support them. That’s why EPA is providing even greater clarity on the direction the agency is taking to confront pollution from mountaintop removal. We will continue to work with all stakeholders to find a way forward that follows the science and the law. Getting this right is important to Americans who rely on affordable coal to power homes and businesses, as well as coal communities that count on jobs and a livable environment, both during mining and after coal companies move to other sites. Regarding the key issue of conductivity (a key measure of the presence of many harmful pollutants, such as chlorides, sulfides and dissolved solids), EPA cites the previous work of agency scientists who found that streams with conductivity of more than 500 microsiemens per centimeter were impaired. But, EPA has also completed a draft of a new study by the agency’s Office of Research and Development that warns of impacts at even lower levels of conductivity of 300 microsiemens per centimeter. 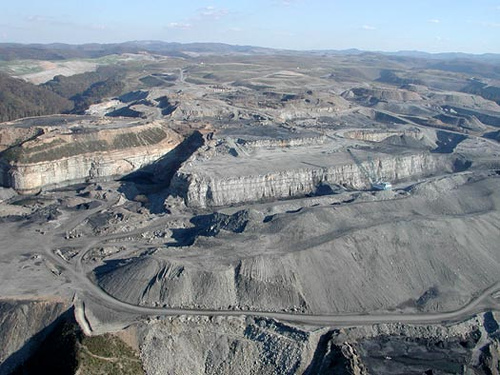 What’s that mean for mountaintop removal permitting? Well, the short version is that EPA may block new permits or demand significant changes in mining plans where mining proposals are projected to cause conductivity downstream to exceed 500. At a minimum, should the record indicate that a reasonable potential exist, based on site- or receiving-water-specific information, the permitting authority must demonstrate in the administrative record, based on site- or receiving-water-specific information, how the permit implements the narrative water quality standards in a manner that is consistent with the CWA, and Regions are encouraged to review such a record carefully. … We expect this guidance to change behaviors, to change actions, because if we keep doing what we have been doing, we’re going to see continued degradation of water quality. … Minimizing the number of valley fills is a very, very key factor. You’re talking about no or very few valley fills that are going to be able to meet standards like this. The intent here is to tell people what the science it telling us, which is it would be untrue to say that you can have numbers of valley fills, anything more than say, very minimal valley fills and not expect to see irreversible damage to stream health. That’s just the truth. That’s the science of it. Someone tell Don Blankenship its time to start building wind farms and stop with the hyperbole that makes his shareholders rich and the rest of us sick and poor. “While I appreciate the EPA’s willingness to provide more information on how the agency plans to address the mining permit process, I am concerned that this is yet another environmental decision that will force further job cuts in our already ailing mining community. This Administration is trying to legislate through environmental regulations, and that is not right. We should not be using the Clean Water Act to unfairly target the coal industry in the Appalachian region, over other industries across our nation. Thanks for all the discussion, folks. Check back next week for more. Have a good Easter. Ken.